Ok, our many and various UK friends, try your best not to gloat. Thanks much. 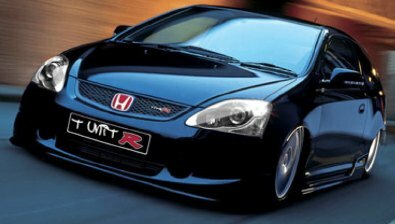 The new UK-built Civic Type-R will make its debut in Geneva next month, replacing the last-gen version, which was discontinued in 2005. Sadly, as we reported in December, the US won't be getting this version — which, according to Edmunds Inside Line sports the same 2.0-liter DOHC i-VTEC engine as its predecessor. No problem guys, but we're not smuggling over any more White Castle hamburgers. Sorry, but it's only fair.